6pc. 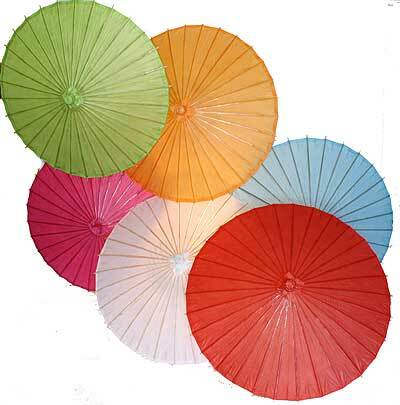 32in D Paper Umbrellas are made of quality rice paper and bamboo stem with wooden handle. Add a decorative touch for wedding or party events.